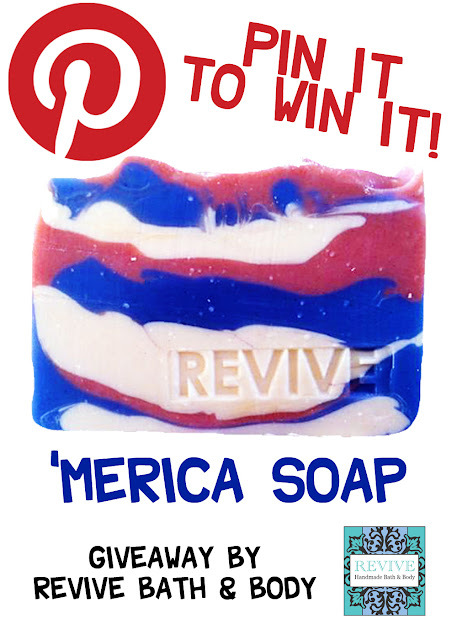 Revive Bath & Body: Pin it to Win it! We are having a Pin It To Win It contest!! A FREE bar of our new 'Merica soap! If you are not in Pinterest, visit their page for more information on joining. 2. Leave your email in a comment on this blog post so we can contact the winner! The winner of the Pin it to Win it contest will be announced on 6/24/12. Share with friends, have fun, and pin away! Great Idea on the Pin it to Win it contest. So fun.